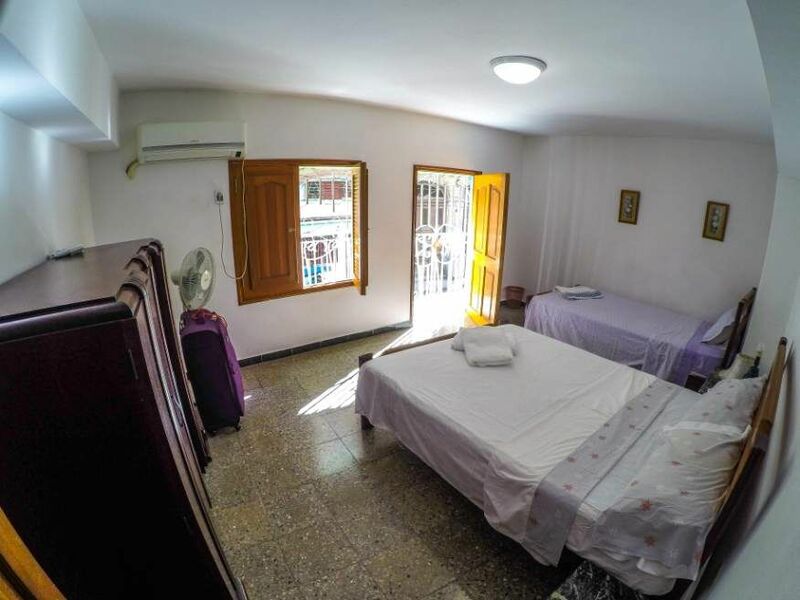 Two bedroom fully self contained apartment casa particular so close to everything in Centro Havana. Yovana and her family used to live in the casa so it still has a lot of very nice things in it, more than you would find normally. A very lovely lady called Yovana runs the casa which is owned by her Spanish mother inlaw who lives in Spain. 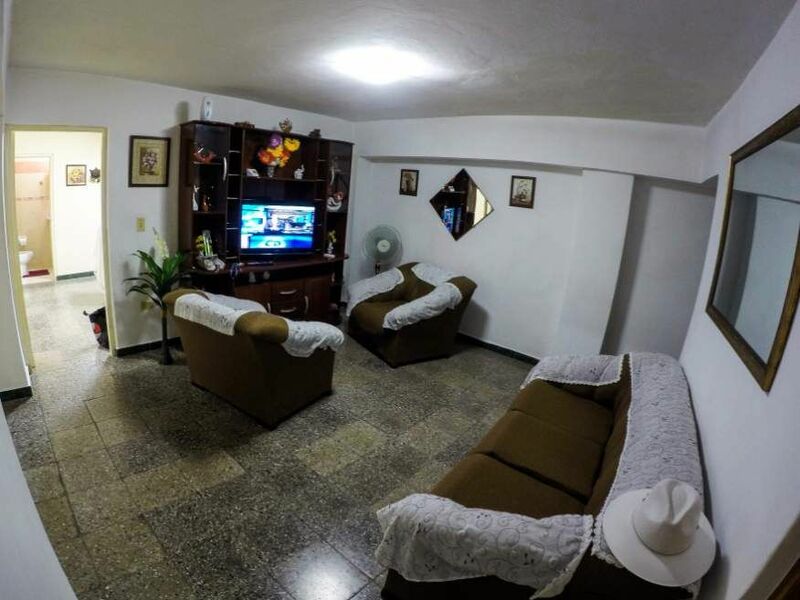 The location is perfect, very close to Parque Central and lots of restaurants. The street can get noisy but if you stay in the back bedroom this wont bother you. The apartment is up one flight of stairs. It comes with a phone you can use for local calls or international if you have a calling card. 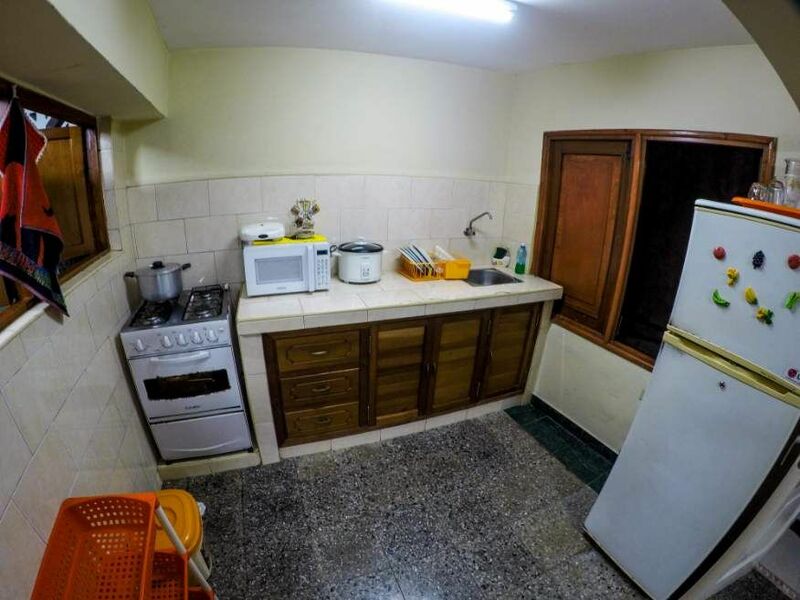 The kitchen is a decent size with stove and a big fridge. 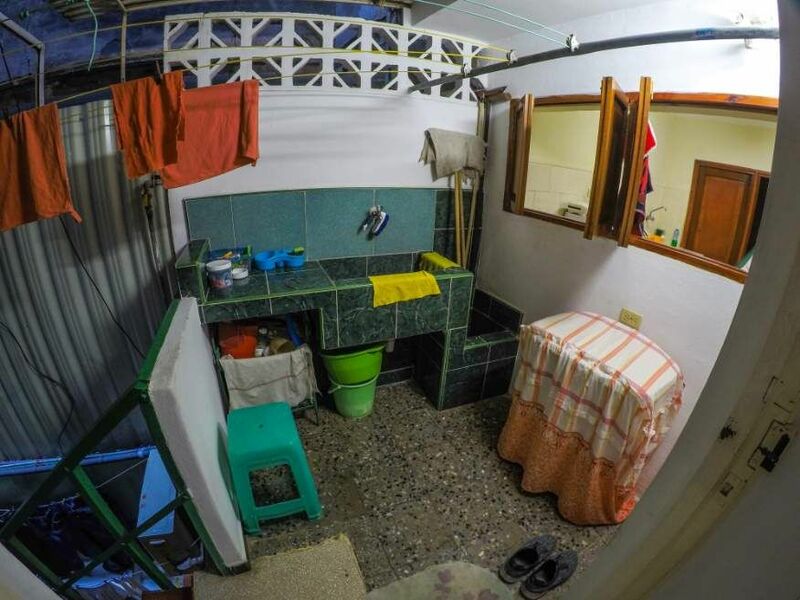 Only one bathroom with hot and cold shower. Unfortunately there is no washing machine but the outside laundry area is big with plenty of room and plastic buckets. Washing is hung on the big lines above the stairs. No meals are provided which suited us fine as we perfer to do our own thing. We bought muesli with us and usually buy local eggs which are super cheap. Coffee is very good and cheap to buy, we also carry our own plunger with us too, a very essential item! 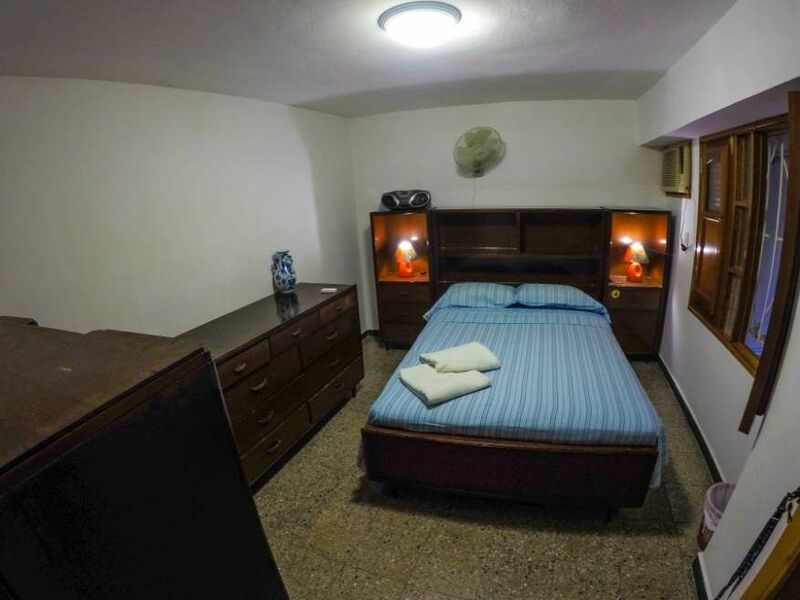 We got a great deal at $35 CUC a night because we stayed for a month and it was in Sept/Oct the quieter time of the year. We stayed again in mid Nov and the price was $40 CUC. 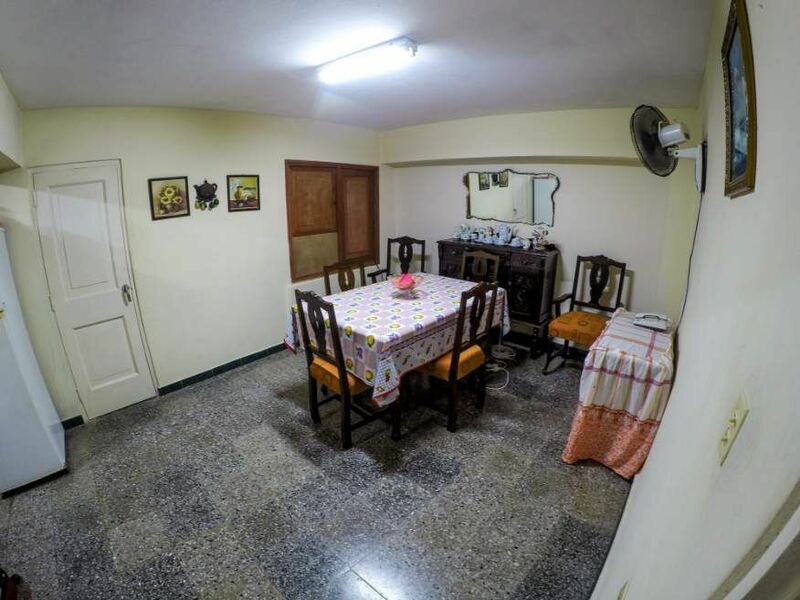 However we’re told the normal price is more like $50 CUC, still really good value for a big 2 bed apartment so close to everything.